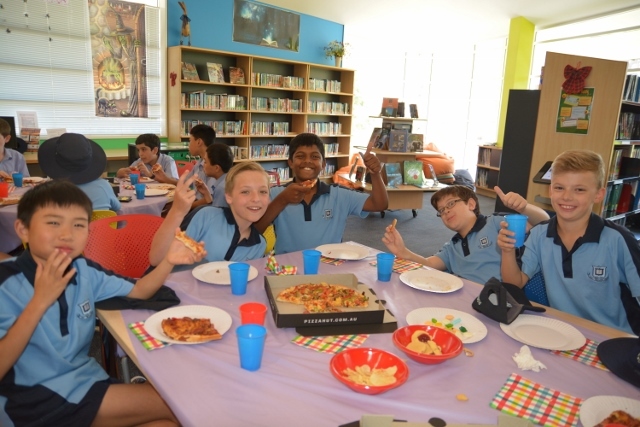 A large group of dedicated students have been working in the Middle School Library all year to assist with the day-to-day activities of the Library. 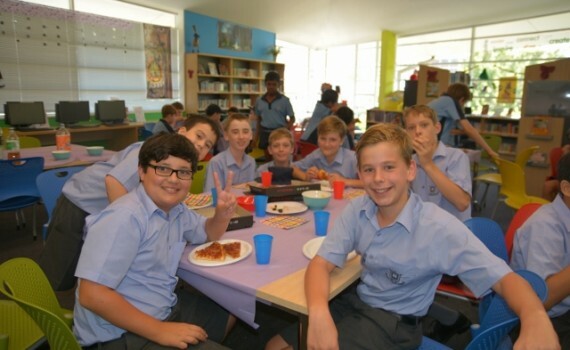 Boys in Years 5 and 6 sign up at the start of each term and receive one time slot a week which they eagerly attend. Jobs include loaning and returning books, shelving, stamping books and other book processing tasks. A favourite task is ringing the bell to mark the end of break times! 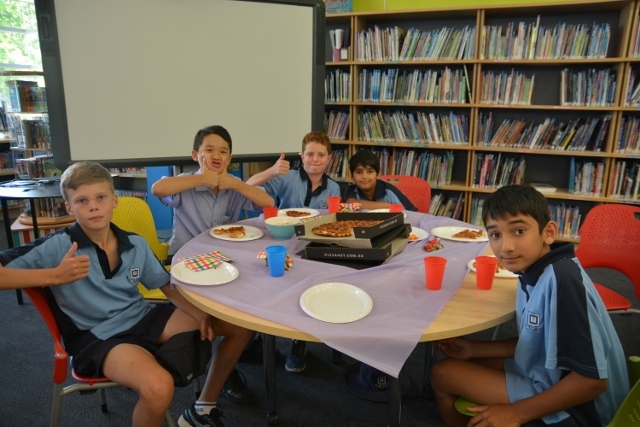 As a ‘thank you’ to the boys, Ms Palmer invited them to attend a special Library Monitor Party. 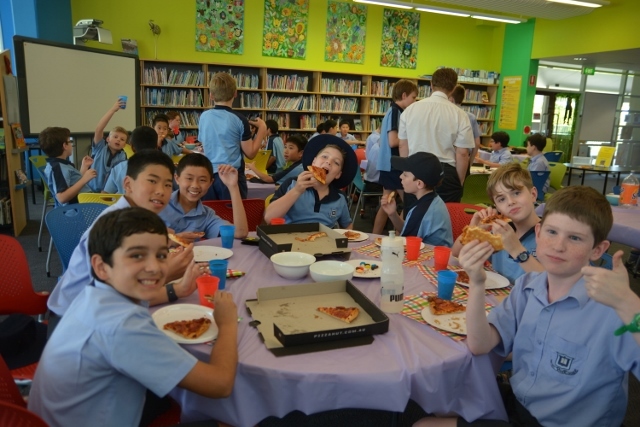 Boys made short work of pizzas, chips, chocolates and other tasty delights. 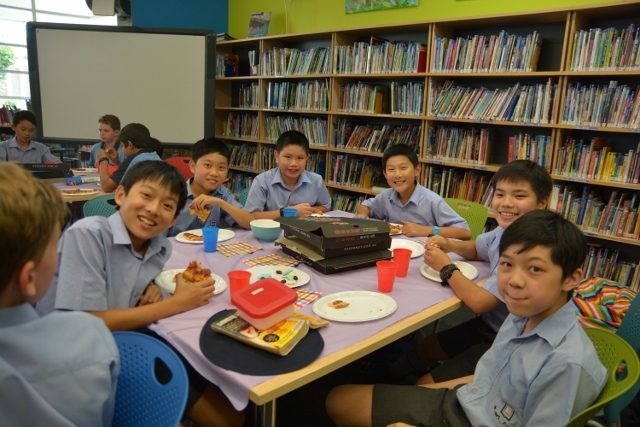 It was a great end to their year of hard work.